This Oil Pastel (7×5) study was painted on Cotman watercolor paper using a gouache underpainting. In this 3rd version the greens are a little less tight than the 2nd version, more blue was used for tinting the green, less burnt sienna used, the vase shape is more square, and an edge of the table was brought in. Continuing with my study of painting flower arrangements, here is my third and final version of this particular arrangement. The goal of the studies was to gain some experience painting a full flower arrangement and flowers/greens in general, using a loose style and explore gouache as a underpainting. Watercolor paper was chosen to use up an old supply, but as usual discovered I discovered what I liked and didn’t like about using the surface with oil pastels. In another post I’ll explore my findings both on using watercolor paper as a surface with oil pastels and gouache as an underpainting (a technique for developing more depth within a flower arrangement). If painting with just OPs, mud can be developed very quickly during the layering process, so an underpainting is a good preventative technique to avoid muddying a piece. To be honest I’m not excited about any of the three country flower versions, they are different from my natural style and I have limited experience in painting flowers. I may do a 30-day flower arrangement painting challenge, whether in a garden or vase, to give me experience on many levels. Need to give this some thought – what do you think? I love this piece so much! I think it’s gorgeous to see the sunlight coming from the side and kind if dancing over the petals. I would definitely love seeing more of your flower paintings; they really cheer me up! Hi Mamie, thank you very much for your nice feedback! Flowers are very, very new for me which I find the complete challenge – so thanks for your great comment. I’ll be doing more flowers for the next two months. Thanks Elena – you give me a lot of inspiration, your experiments are awesome! That sounds like an interesting challenge. Hm, do you think? 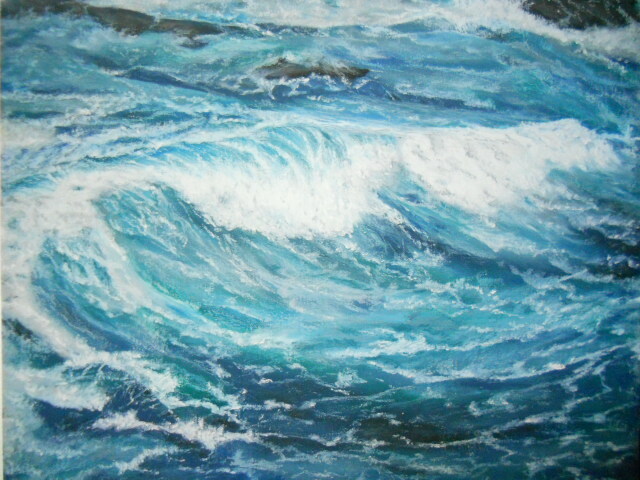 We’ll see – it would have to be either March or April, because I’m getting ready to tackle landscapes again. Thanks for your feedback! You are wonderfully dedicated to your art. You are so kind Marina! We’ll have to see – I’m too much of a thinker, don’t know if I can just go with the flow to produce one a day. Thanks for the encouragement. You mean it would be a painting challenge for MARY ? – in that case, YETH PLEATHE !!!!! Thanks M.R.! Giving the 30-day challenge some consideration, just don’t know if I’ll be able to fit it in. It would be interesting to see the different evolutions during a 30 day challenge. Thanks Rob for the encouragement – I’m thinking about the 30-day challenge, just have to be prepared before I get started. It does have a very ‘fresh’ feel about it. I think it’s good to step outside our comfort zone every so often, not only to be more comfortable with a wider scope than normal but also to be able to take the learning into our existing work? Hi Steve, thanks so much for the feedback and comments – really appreciate it. 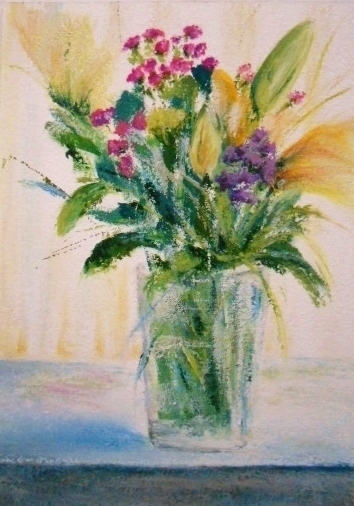 I’m going to keep on trying and one of these days perhaps I’ll get comfortable in painting flower arrangements. Windsor & Newton make Cotman paper out of France, so perhaps it was produced based on John Cotman (I looked him up, he was a great painter) – history is great. I think the paper is very good for watercolor, but there is something very odd about it for oil pastels – it’s actually very dry to the touch vs. pastel paper. I’ll be writing about it soon.